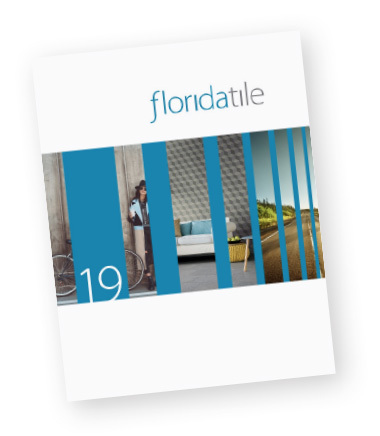 Florida Tile is pleased to present one of the most innovative and distinctive product lines ever introduced by Florida Tile. This line is rectified and has three modular sizes and lots of beautiful listellos. Urbanite is a patented design that safeguards Florida Tile from any type of imitation; it has a unique surface, smooth to the touch and extraordinarily natural, obtained using a final dry application of a compound quartziferous silico, directly on the decoration line, to achieve an exclusive effect that Florida Tile offers under the name of SILK. Each of the four colors in the Urbanite range is the result of mixing colored atomized powders, obtained using technology patented by Florida Tile, world leader in innovation and research in the field of floor and wall porcelain tiles. The transparency of the Urban decoration enhances the richness of the mix and the brilliance of powders used in the body.